Over the last week I’ve visited libraries from Mandurah to Morley, with a Fremantle stopover closer to home, talking to kids about books and writing and the fantastic Premier’s Summer Reading Challenge. I love carrying my little box of bits and pieces into the cozy corners of libraries and seeing who’s waiting for me there, especially when they turn out to be as delightful and creative as the groups I met this year. Thanks to everyone who came out on very hot days to hear me talk, and help me plot (in every sense!). I hope you were all inspired to take up the reading challenge, not just over summer, but always. Remember that you can keep reading until 8th February, but make sure your entries are in by the 15th. As well as reading some great books, you’ll have the chance to win some amazing prizes (just and don’t forget – that trip to Broome is mine!). 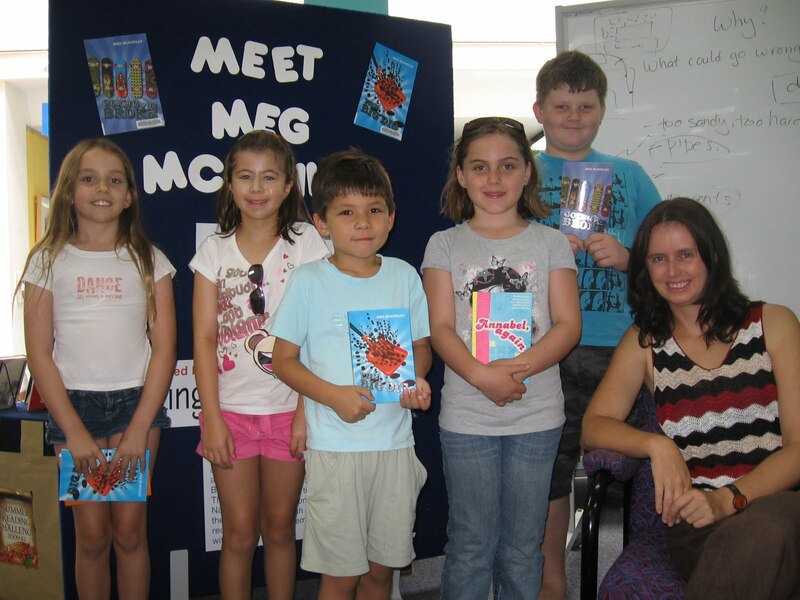 This entry was posted in Events and tagged libraries, Premier's Summer Reading Challenge on January 21, 2010 by Meg McKinlay.